Professor Millbank is a leading international expert on gender, sexuality and law. Her research reaches across family, reproduction and human rights law making a distinctive contribution to broadening legal understandings of family and developing new approaches to relationship recognition in law. Many of her recommendations for law reform concerning family relationships and reproductive rights have been implemented in Australia and elsewhere in the past decade. She has also been at the forefront of developing international thinking concerning gender based persecution, working with UNHCR and others in policy development and litigation to ensure equitable treatment in refugee status determinations for women and those fleeing violence based on sexual orientation and gender identity. 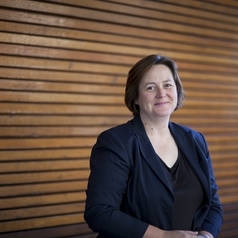 Professor Millbank’s socio-legal scholarship reflects her on-going commitment to developing laws that reflect and adapt to social needs through research that is empirically based, responsive to community concerns, and practical in application.